Entrance to Tennessee Theatre; an "Entertainment Palace" that was designated the official state theater of Tennessee in 1999. Photo by alan.reynolds/Flickr (Noncommercial Use Permitted with Attribution/No Derivative Works). Tennessee Theatre first opened in 1928 and is one of the few great movie palaces from the Roaring Twenties still in operation. Today the theater offers classical music, vintage films, dance, theater, and performances by popular musicians. 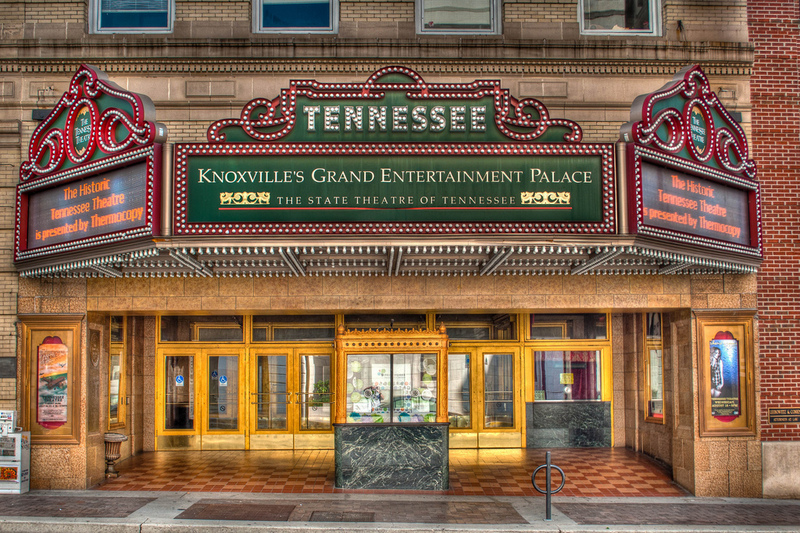 Billed as "Knoxville's Grand Entertainment Palace," the interior of Tennessee Theatre was designed in the Spanish-Moorish style (although the design contains elements from all parts of the world: Czechoslovakian crystals in French-style chandeliers, Italian terrazzo flooring in the Grand Lobby, and Oriental influences in the carpet and drapery patterns. The theater also features a beautiful Wurlitzer organ. The origin of theater goes back to prehistoric people acting out their hunting experiences and ancients singing and dancing for religious ceremonies. Theater as pure entertainment evolved slowly - the first recorded European theater was in ancient Greece about 600 BC (for a festival honoring the god of wine and fertility). A poet named Thespis won a dramatic play competition at this celebration and is so considered "the first actor" (origin of the term thespian). 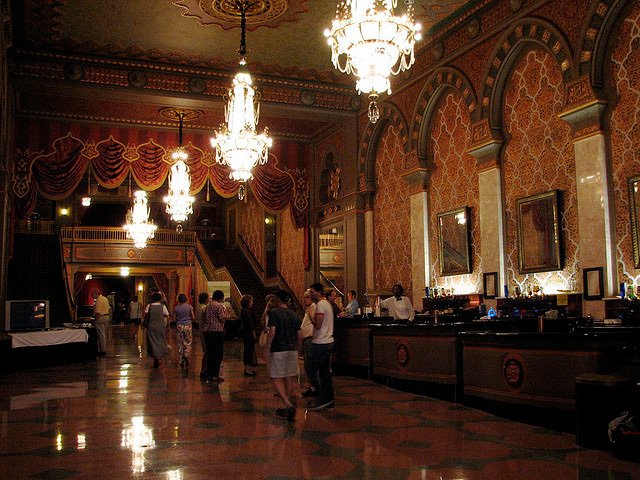 Tennessee Theatre lobby; photo by Mike Myers on Flickr (use permitted with attribution). 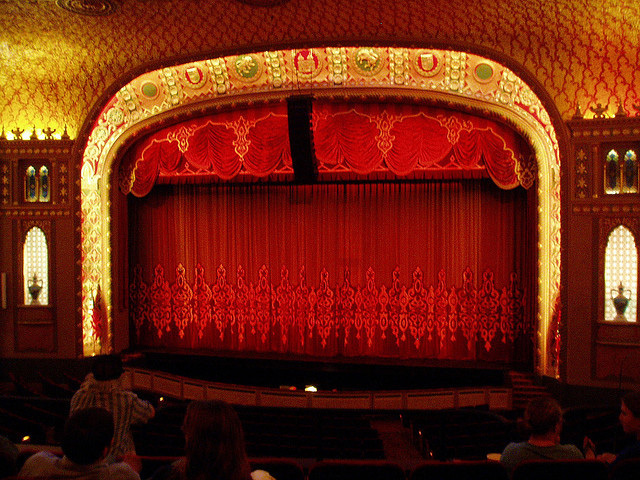 Tennessee Theatre stage; photo by Joel Kramer on Flickr (use permitted with attribution).